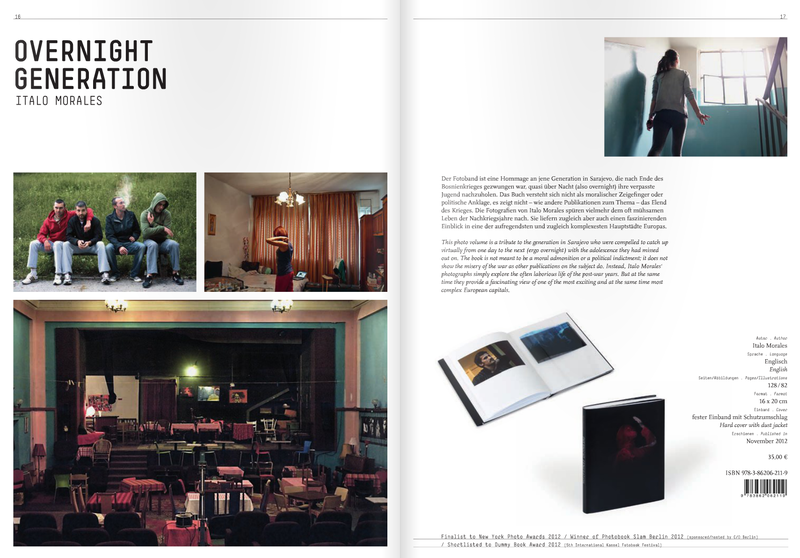 Overnight Generation photobook is now available on THE PRIVATE SPACE online bookshop. I am proud to announce that one of the very few Overnight Generation dummy books made is now in the wonderful hands of Indie Photobook Library. Best place in the world for a dummy book to be archived! Thanks to New York Photo Awards and Larissa Leclair for coordinating this donation. 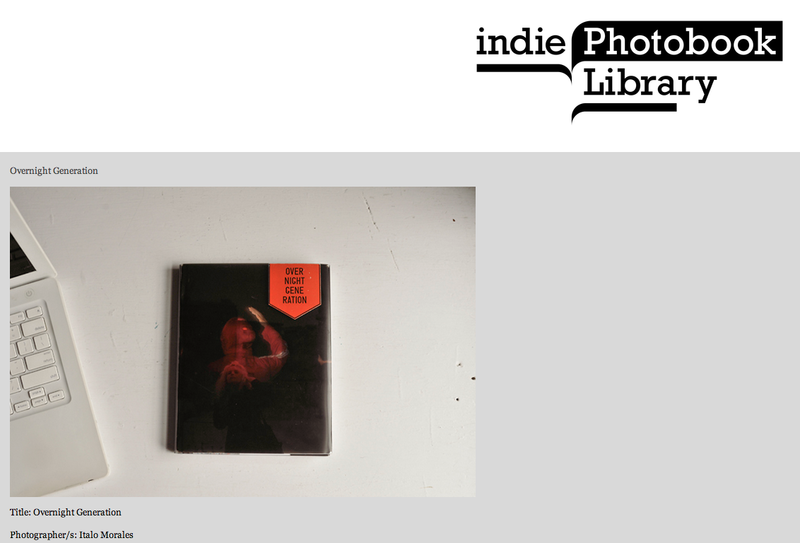 Founded by Larissa Leclair in 2010, the Indie Photobook Library is an archive of self-published and indie published photobooks. 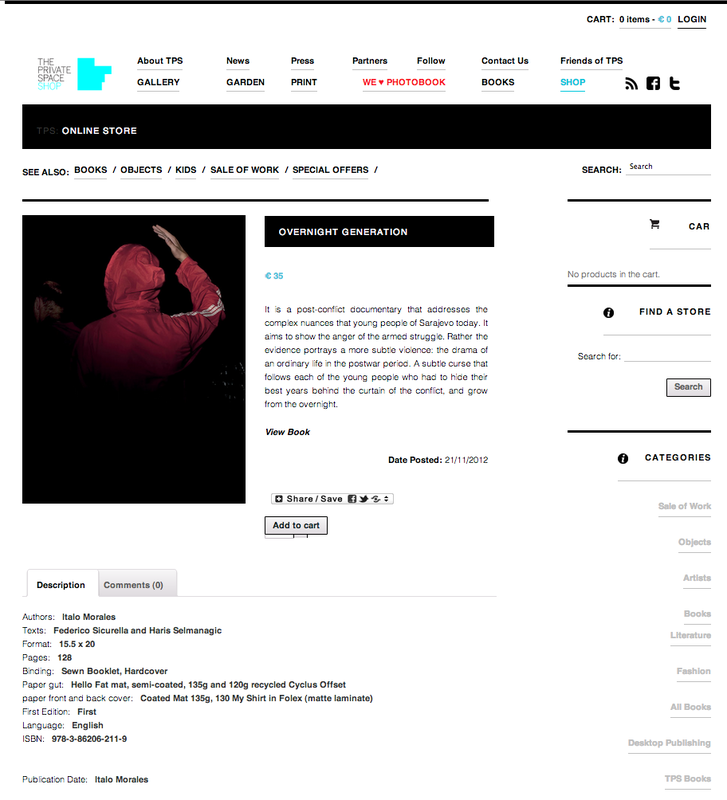 This includes DIY, photobooks independently published and distributed, photography exhibition catalogs, print-on-demand photobooks, artist books, zines, photobooks printed on newsprint, limited edition photobooks, and non-English language photography books, etc. The iPL promotes and showcases the books in the collection through international pop-up and feature-length exhibitions, articles, conferences, guest lectures, and also preserves them as a non-circulating public library. Having a specific collection dedicated to this contemporary movement in publishing allows for the development of future discourse on trends in self-publishing, the ability to reflect on and compare books in the collection, and for scholarly research to be conducted years, decades, and centuries to come. 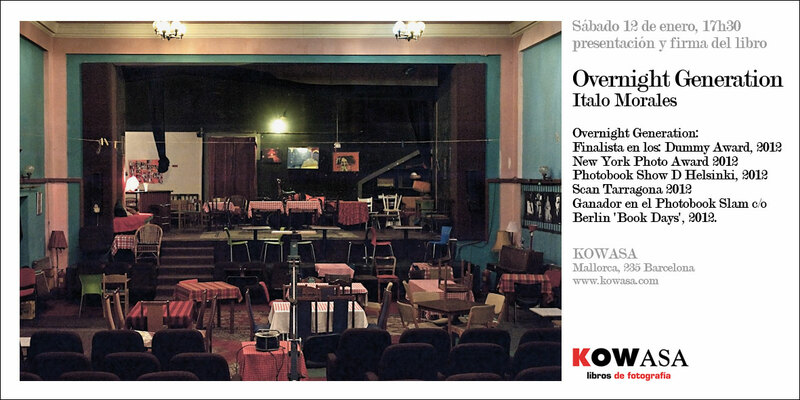 Overnight Generation book presentation + Multimedia projection + book signing at KOWASA photography bookshop in Barcelona. 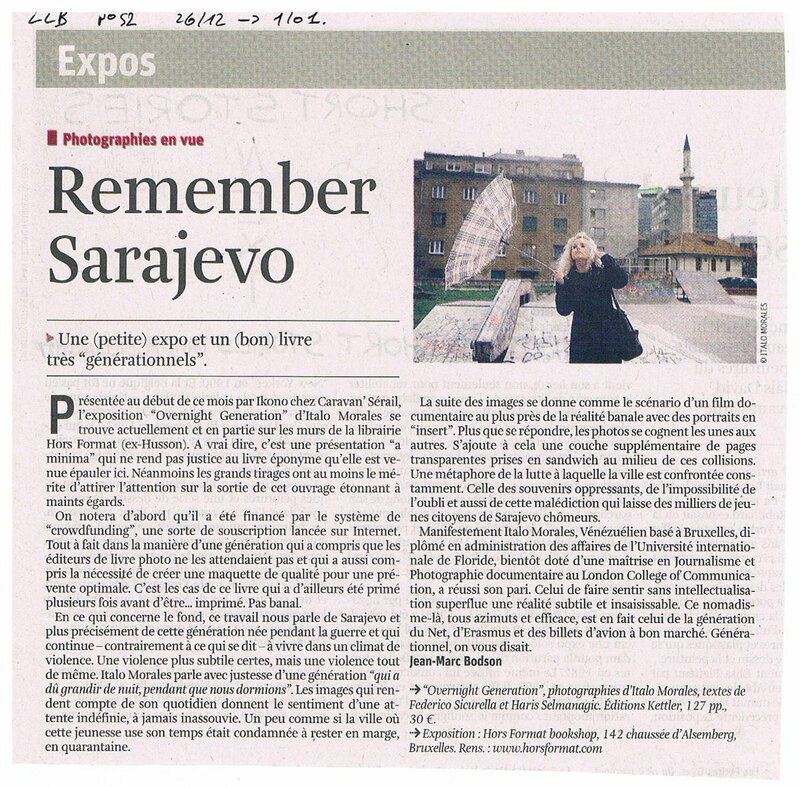 Article about Overnight Generation, “Remember Sarajevo” by Jean-Marc Bodson recently featured on the Belgian newspaper La Libre.